Head on out, knowing you can stop along the way to handle any pet needs. Grab a pet waste bag and hope you won’t be gone long enough to need anything else. Sigh as you pack up everything from waste bags to bottled water, since your town lacks pet amenities. Where Are All the Pet Amenities? Chances are, you answered “C” to the question above. Many newly developed areas have planned for pets. But in older or urban areas, space often hasn’t been set aside to help pet owners. 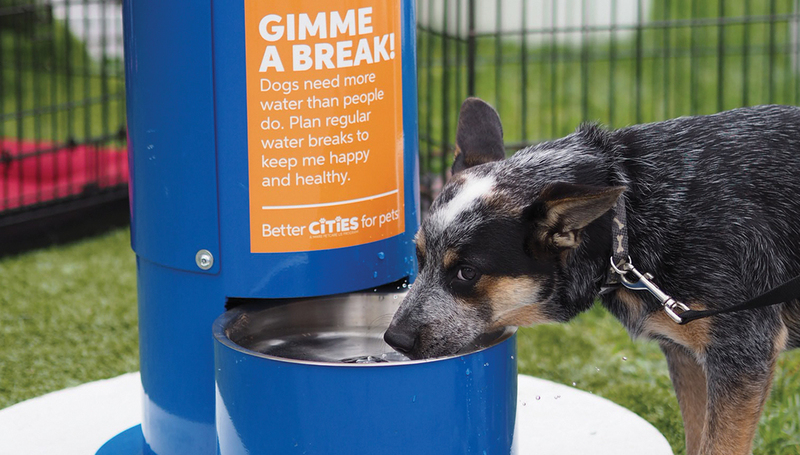 In fact, in a survey of U.S. mayors from across the country, only 42% of cities said they have pet hydration stations, and just over 50% said they have waste stations. This means around half of us can’t get out and enjoy time outdoors with our pets as conveniently as possible – or get the health and social benefits that come with it. That’s why including pet needs in city and park planning is one of the 12 Traits of Pet-Friendly Cities in the BETTER CITIES FOR PETS ™ program. The good news is, we have resources and tools to help! Have fun! When pets and people enjoy outdoor activity together, everybody benefits. Just plan ahead a bit, so you know what resources you can find along the way. Keep in mind that pets need more hydration than people. Offer water often, especially on hot days or in warm climates. If you know you won’t be near a pet drinking fountain, carry a portable water bowl and bottled water. Put those pet amenities to use and mind your “petiquette.” Always clean up pet waste and put used waste bags in the appropriate trash receptacles. Be sure to use a leash when you’re out with your furry best friend. It’s a good idea to protect her, your surroundings and those you meet along the way. 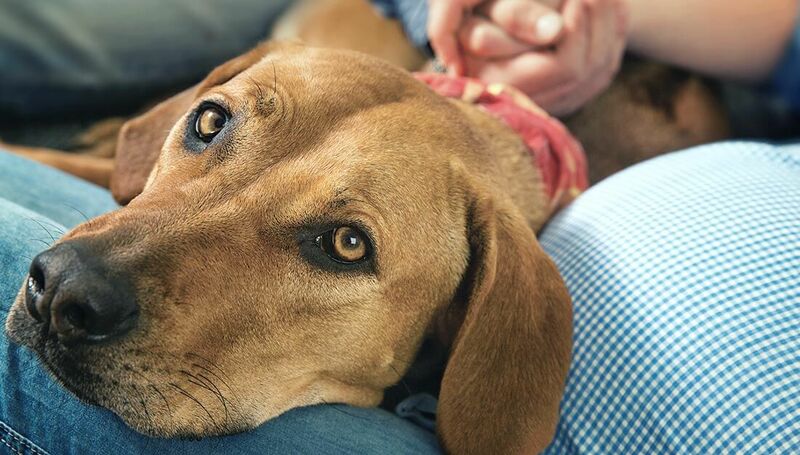 As an added step, brush up on tips about dog bites and bite prevention, to keep everybody safe. Any time you are out where pets are welcome, it’s important to keep an eye on your pet and those around you. Clean cities are good for everyone. 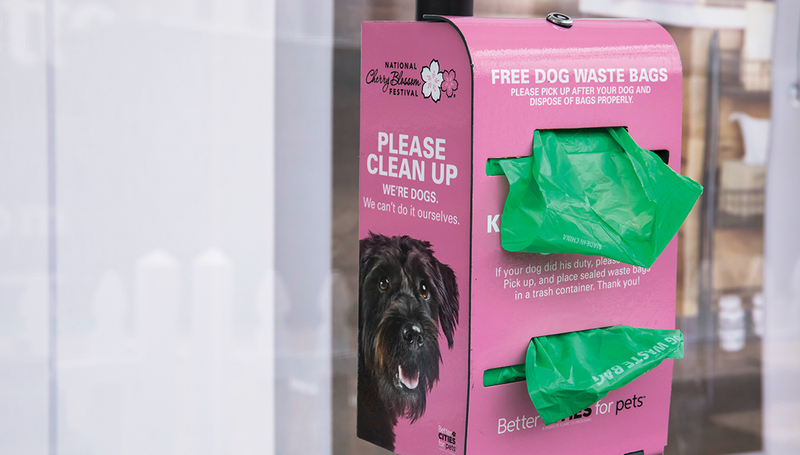 Provide free pet waste bags in locations around the community. Add dispensers to existing sign poles or existing trash receptacles, to minimize added investment. Make sure your signage is clear and helpful. Encourage local business owners to consider pet resources on their property. This can help them attract customers at the same time it reduces the city cost burden. A paw-sitively win-win situation! Have a process in place for how often and by whom pet waste trash receptacles are emptied. Include a sign with contact info about where to report issues or concerns. Consider educational city signage to remind people of responsible pet ownership behaviors (PDF) like picking up waste and taking water breaks. Get the most value out of city water fountain projects by installing fountains that serve people and pets. Planning an outdoor event? Check out these pet comfort station tips and this post on pet-friendly festivals. 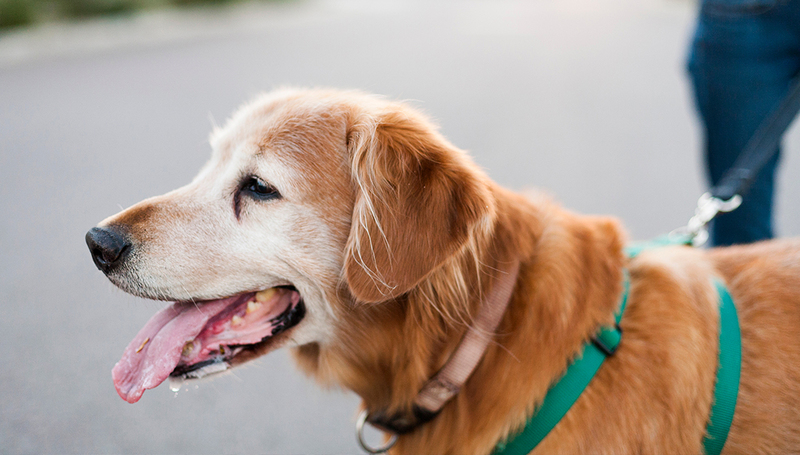 Conduct an assessment of your community to understand where more pet amenities are needed. Download the Happy Pet Handbook (PDF) to help pet owners understand how everyone contributes to pet-friendly places. Advocate for pet-friendly local parks and trails, and learn the key features of successful dog parks. 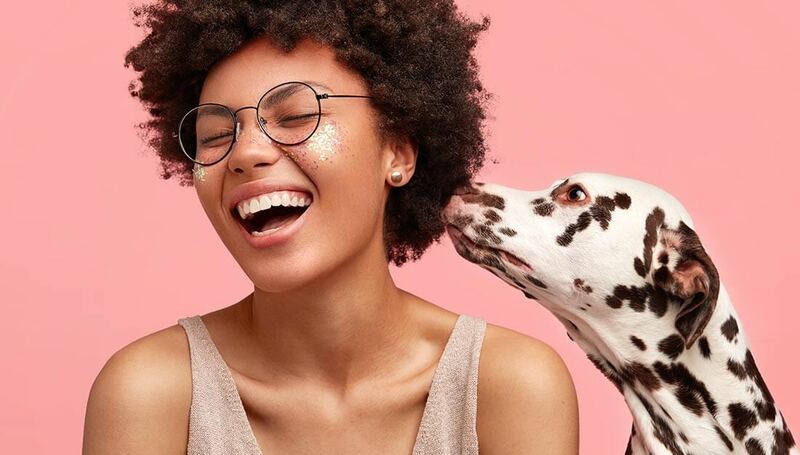 Learn how to encourage businesses to make pets welcome – including by sponsoring or installing pet resources in their area. 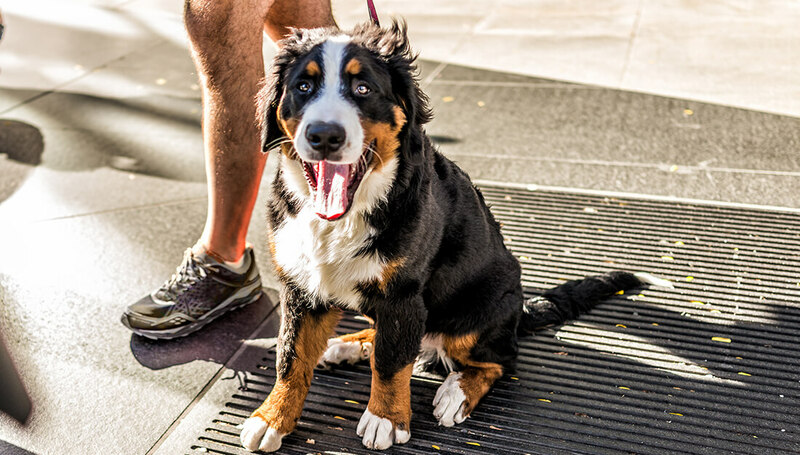 Check out a white paper on downtown living with pets (PDF). Everyone deserves the chance to spend happy, healthy time outdoors with their pet best friend. That’s a key tenet of the BETTER CITIES FOR PETS™ program and a focus for advocacy. Please join us! 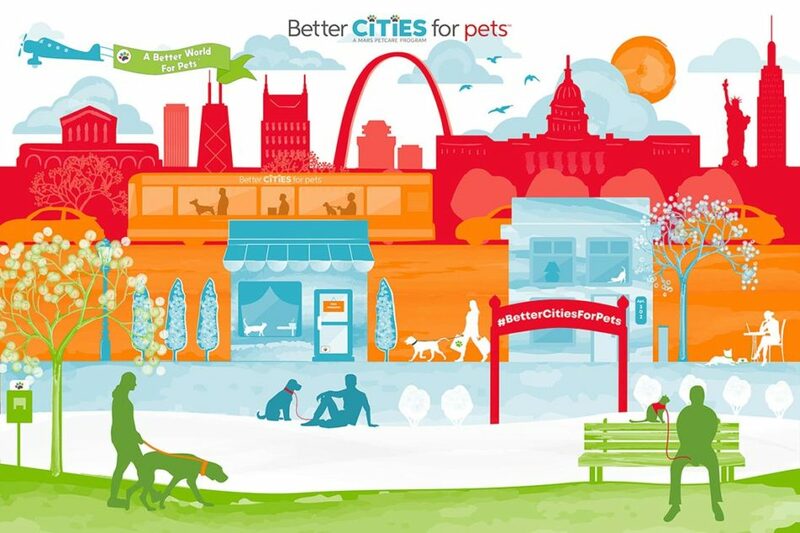 Click here to join the movement and start receiving BETTER CITIES FOR PETS™ program emails. You’ll get tips, tools and inspiration around once a month. Together, we can make life better for pets and people everywhere.